Frost blues and snowflakes are on my card today with a DCWV stack not meant to be for card but for boxes, the DIY Winter Party favor stack ! 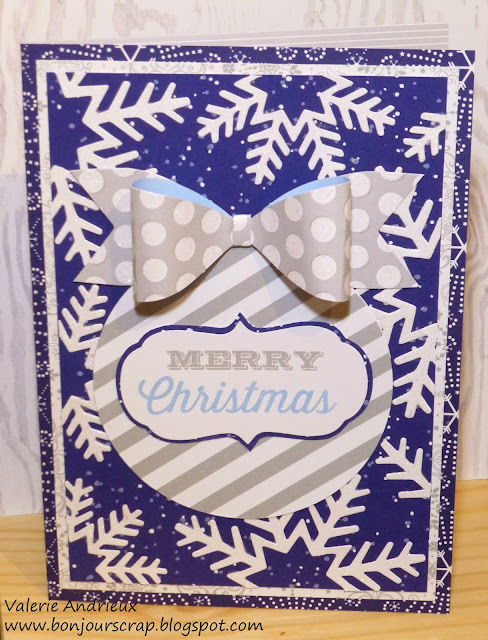 This card (and another I will show you next week) are coordinate to the gift card holders that were published in the December issue of Making cards (p62-63), one concertina (I've just discovered this word !) and one folded holder. 7 more cards to be shown on this blog before Christmas and my big giveaway... Be sure to comment on many of my 2016 cards' posts and follow my blog to enter it !